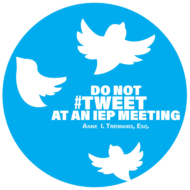 Do Not Tweet at an IEP Meeting: and other tips and strategies to negotiate special education services. Attorney Anne Treimanis shares effective advocacy tips for families who have children with disabilities. She is unable to represent every student receiving special education services, so the best of what she knows is right here! 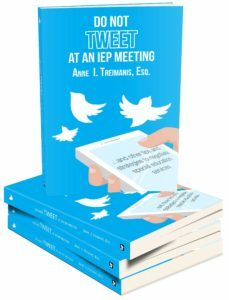 These strategies are designed for families, advocates, and attorneys. Anne Treimanis has dedicated her entire career fighting for families and students, initially as a social worker and then for thirty years as an attorney. Message from Attorney Treimanis: Enjoy these tips. I welcome every reader to share their best tips with me. 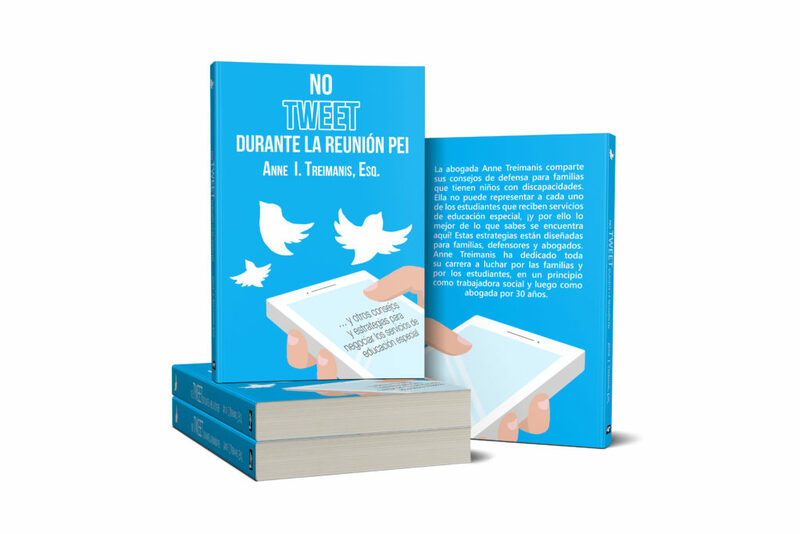 If I use your tips in the next edition of this book, you will be credited in the List of Contributors. Email your tips to do.not.tweet.tips@gmail.com.